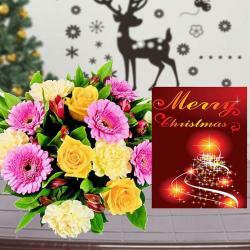 Product Consists : Bouquet of 18 Mix Flowers like Roses and Gerberas along with Christmas Greeting Card. 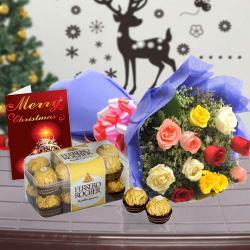 When it comes to impress any girl with gifts than flowers could be considered an easy option for that. Roses have different meanings as per their color and number. 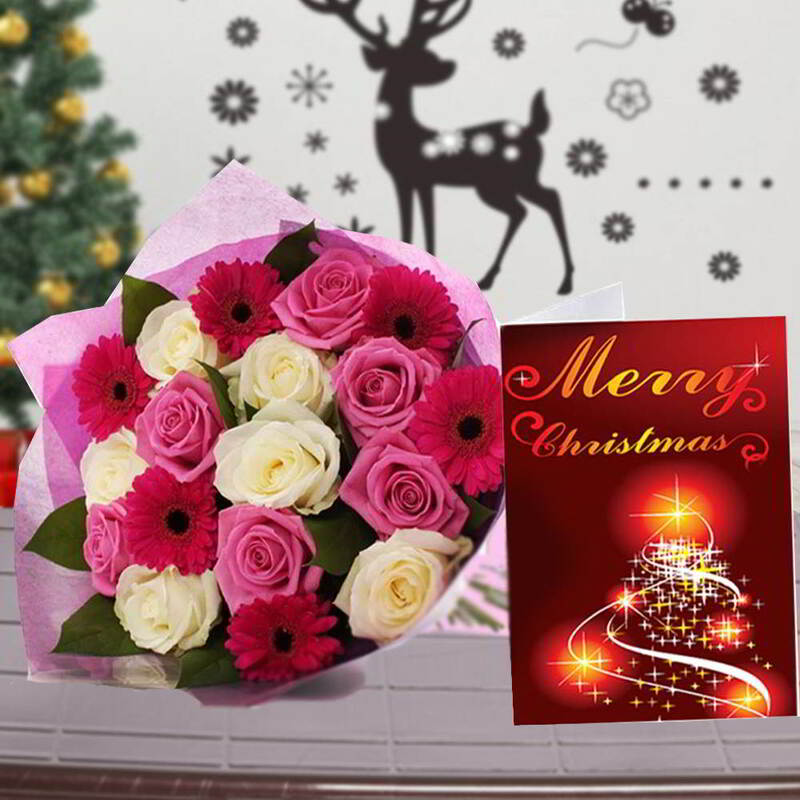 If you are planning a flower gift for your dear ones on this Christmas then check out this gift combo of flowers bouquet and Christmas greeting Card which is bound to enthrall anyone. The bouquet is made from roses and gerberas. It includes twelve white and pink roses and six dark pink gerberas. 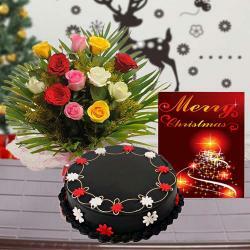 This gift combo also includes one Christmas greeting Card on which you can write down your best wishes for the recipient. 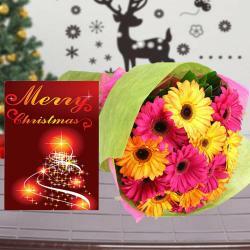 Product Consists : Bouquet of 18 Mix Flowers like Roses and Gerberas along with Christmas Greeting Card.